Almost everyone is able to drive normally along the city streets, but it's all different when you are driving a car along a country road. Prepare to do it, having beaten all your opponents on your way. In this free online flash game you must be very fast, brave and precious to become the champion. 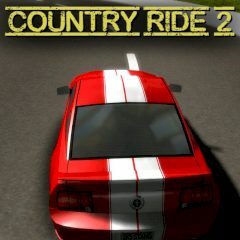 This wonderful sport game is not worse than the legendary games such as NFS or others. Your task is to get behind the steering wheel of one of several powerful cars and try to beat all your opponents in a fair contest, driving along a country road. Are you ready to show everything you are worth of in this free action game? Then do not waste time and start playing this nice game developed by NowGamez right now – we are sure that you will not be disappointed!